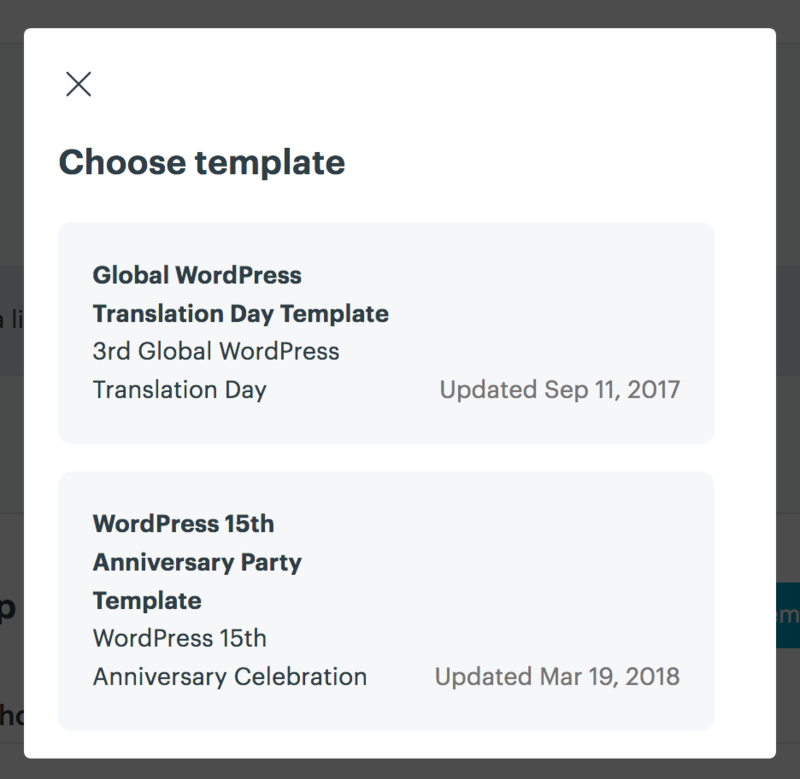 Lots of groups like to share a birthday cake with the WordPress logo on it — there are logo files you can download on the WordPress 15th anniversary site. There are some other DIY anniversary decoration files on that page as well — get creative, show off your local flair, and have fun with it! 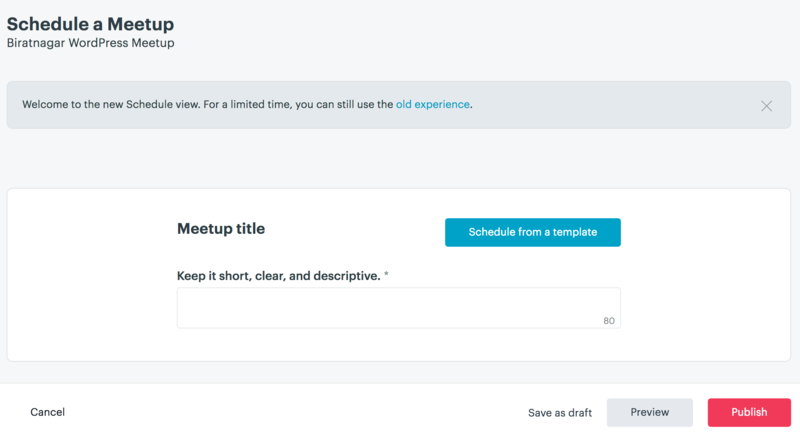 Once you’ve selected a location and a time, you can use the WordPress 15th Anniversary event template on meetup.com to schedule your event. This will help your event show up on the map displayed on wp15.wordpress.net. Once you click on “Schedule from a template,” a pop-up should come up with two options. 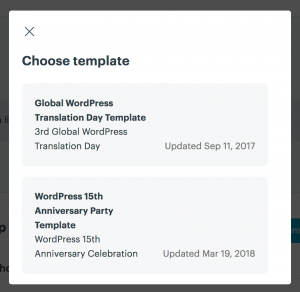 Select the WordPress 15th Anniversary Party Template and customize as necessary! Make sure the description of the event contains the term “#wp15” somewhere; otherwise the WP15 website won’t be able to identify it as a WP15 event. If you’ve added “#wp15” and your event still isn’t showing up on the map after a few hours, then please email support@wordcamp.org with the URL of the event, so that we can add it. Once you’ve scheduled your celebration on meetup.com, you can request your special WordPress 15th anniversary swag pack, which includes sticker sheets and party balloons. Please note that the deadline to request anniversary swag in order to arrive before May 25 has passed. Requests received after May 1 might not arrive by May 25, though the chances are better in North America (Canada and USA). Information collected for swag shipments will be used only for anniversary swag shipping purposes, and will be deleted by May 31, 2018. We encourage groups to organize their parties using free venues if at all possible. If you’re meeting at a place that is unusual for your group, make sure to post clear directions and maybe even put out some signs to make it easy to find the party. Share your celebration with the WordPress world by posting photos or videos using the #wp15 hashtag. All #wp15 posts will be aggregated and shared real-time on the WordPress 15th Anniversary website, which will be launched in April 2018.